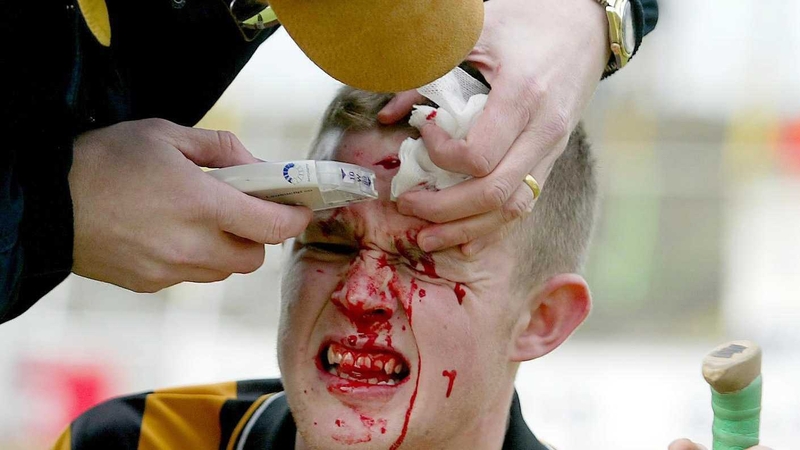 At any point in time, approximately two percent of the population or, 100,000 people in Ireland have a wound of one kind or another. This number will increase year on year as we live longer and changes in our life styles make us more susceptible to chronic illness. 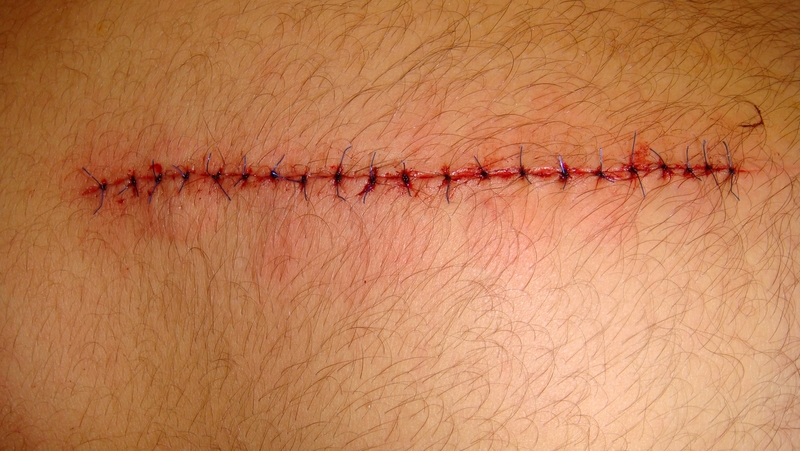 Wound healing is a very complex process that is influenced by the health of the individual, the medications they take, the cause of the wound, the local blood supply and hundreds of cell types, clotting factors, cell signaling systems and much more. It is like an orchestra that requires the perfect balance of instruments and people each playing the same piece of music at the same time and in the same place. It is not hard therefore to image how easily it can go wrong – imagine Handel's Messiah without the choir! But wounds do heal and only those that have gone deeper than the layers of the skin will leave a scar. 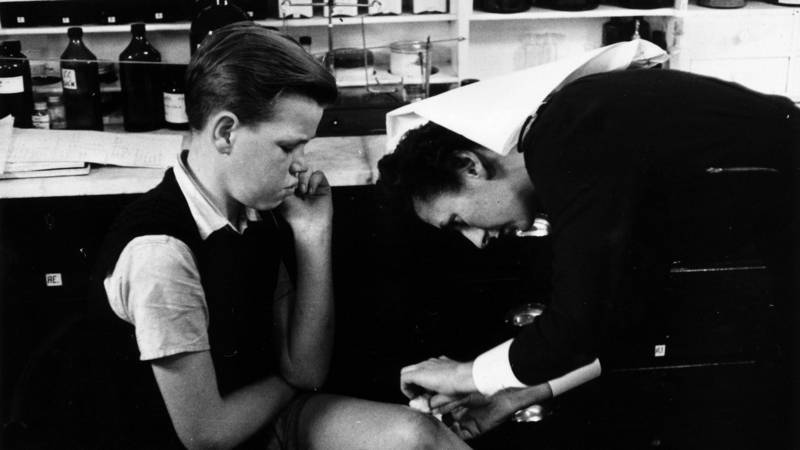 The history of wound healing is like a history of science and research and is full of big blunders, great breakthroughs and improved patient outcomes. 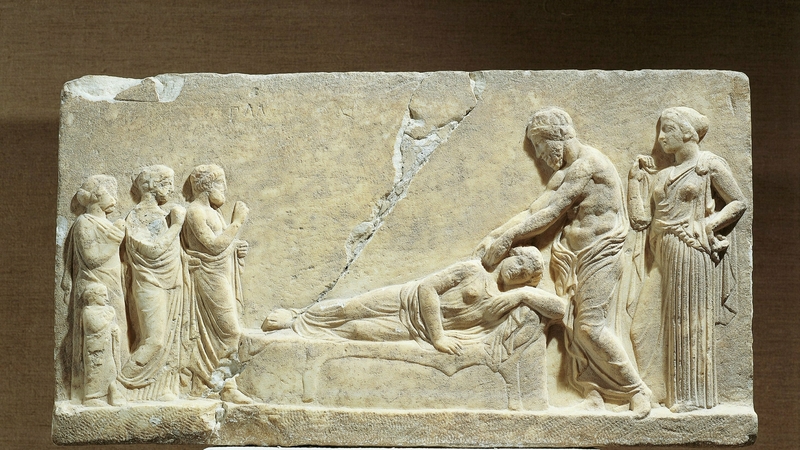 Hippocrates (400-377 BC) believed nature would heal wounds and applied honey and/or oils as an ointment for wounds. About 400 years later, Celsus (25 BC-50 AD) proposed that inflammation was necessary for wound healing and described the three principles of inflammation; rubor (redness), tumor (swelling), and calor (pain). Approximately 150 years later, the Greek practitioner Galen (130-200 AD) proposed the beneficial effects of pus formation for wound healing, which became known as The Laudable Pus Theory. This theory lasted for hundreds of years and caused immeasurable suffering and tales of ingenuity to thousands of patients. They believed that the production of pus was necessary to heal the wound and applied many potions and boiling oils to wounds to promote the formation of pus. Such practices continued through the centuries until the work of Ambroise Pare (1510-1590), which saw the end of the use of boiling oils in favour of more humane salves, which included the use of honey. 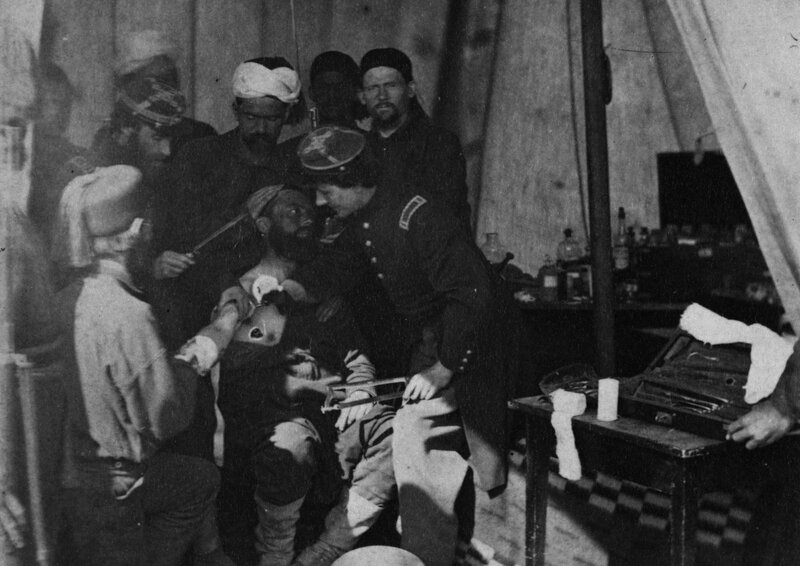 Pare conducted an early clinical trial, albeit unintentionally, when he found soldiers' wounds treated with salves were less irritated and pain-free compared to wounds treated with boiling oils, which were painful and swollen. In the 1800s, Louis Pasteur established the Germ Theory of infection. This was followed by the development of disinfectants in the prevention of infection, particularly relevant to surgical wounds. Bernard Courtois discovered iodine, Ignaz Semmelweis introduced hand disinfection to prevent puerperal fever on the labour ward and Joseph Lister introduced the carbolic spray during surgery. The use of disinfectants and antiseptics was now becoming more widespread. Infection was the main enemy of all wounds and efforts to control and treat infection lead to one of the most important discoveries of the last century, antibiotics. In 1928, Alexander Fleming discovered that Penicillium mould released antibacterial substances and antibiotics were developed from this. Sulphonamides were introduced in the mid 1930s and applied to wounds in powder form. The development of antiseptics such as EUSOL (Edinburgh University Solution of Lime) in 1915 and the more widespread use of antibiotics in the 1940s contributed significantly to the cessation of use of traditional therapies. It is most probable that the management of wounds, up to the mid to late 19th century, was primarily concentrated on acute wounds encountered through hunting, battles, poor working conditions and surgery. Chronic wounds, such as leg ulcers we now know, are most prevalent in the over 65 age group. But up to 1840, the average life expectancy of Irish females was only 61 years so many people did not live long enough to get this type of wound. The seminal work by George Winter in 1962 changed the approach to wound management, from keeping wounds dry to the promotion of a moist environment. He demonstrated that the rate of new skin formation of wounds in a moist environment was faster than wounds exposed to air. In conventional medicine, these improvements and advancements in knowledge, coupled with a transition to evidence-based clinical practice lead to the discontinuation of many empirical therapies. What causes a leg ulcer? Think about the circulation as a plumbing system. Blood is pumped by the heart around the body through a series of arteries, the further away from the heart they go the smaller they get so that the tiniest of vessels are called capillaries and are only the width of a strand of hair. This arterial blood, rich in nutrients and oxygen, feeds the cells of the body. Once this is used up by the cells, the blood is returned to the heart through the veins. This blood is depleted of oxygen and nutrients and is sometimes referred to as blue blood. To get back to the heart the veins have a series of valves in the centre to help prevent back flow of blood and these veins are usually positioned in the middle of muscle groups which help to pump the blood back to the heart to start the cycle again. These valves are very important and people who sustain a blood clot in their leg or get inflammation of the veins (phlebitis) can damage the valves. All of this is important when trying to understand the causes of various leg ulcers. Venous leg ulcers are a debilitating chronic condition, occurring in the presence of venous hypertension. They effect one to two percent of the population globally, with women predominating in a ratio of 2:1. It is widely believed that only older people get venous ulcers but almost half of all ulcers start before the age of 65 years. Historically, venous ulcers accounted for the majority (70 percent) of all leg ulcers. The number of people with a leg ulcer is expected to increase in line with an increase in the ageing population, worsening lifestyle choices, increased chronic illness and issues with accessing healthcare. These ulcers have a profound impact on a person's quality of life and morbidity including issues such as pain, exudate (leaking fluid), odour, immobility, isolation and depression. Healing is often delayed, with ulcers persisting over 12 months in many cases and 50 percent will reoccur within three months of healing. They are usually shallow, painful ulcers around the ankle area, usually on the inside of the ankle. They can produce high levels of exudate (fluid) and are caused by damage to the venous (vein) system. Thankfully treatment is now well advanced beyond the boiling oils of Galen to advanced wound care dressings and bandages. Treatment begins with a full assessment, usually be a nurse in a leg ulcer clinic and then the use of compression bandages and stockings. If assessed and treated early the majority will heal within 12 weeks. The main difficulty is that support stockings must be worn once the ulcer has healed in order to prevent it from recurring. The reason being that the damage to the venous system has not changed and the person is always at risk. There are surgical options available which can help prevent recurrence and this should be discussed with the GP. Arterial ulcers are more challenging as they are caused by damage or disease of the arterial system. They are more painful, usually small but deep and look more "punched out" in appearance. They occur around the foot. Because disease of the arterial system not only happens in the foot, the person with arterial ulcers will have other cardiovascular disease problems. The limb often looks shiny and hairless and the toe nails are dry and brittle. The solution to these lies in addressing the cardiovascular problem and may in cases require surgery to improve the blood flow. Bandages are not used but simple dressings can help manage any leakage and ease the pain. Some new dressings and local treatments are quite effective to ease the pain. Diabetic foot ulcers occur in people with diabetes. The global prevalence of diabetes mellitus was an estimated 451 million people for ages 18 to 99 years in 2017 and is expected to increase to 693 million representing 9.9 percent of this population by 2045. Currently, in Ireland an estimated 4.65 percent of our adult population have diabetes. As this is projected to increase, diabetes-associated complications will also increase, including foot ulcers. Over a lifetime, approximately 15 to 34 percent of people with diabetes mellitus will develop a foot ulcer. Irish data have shown that the lifetime risk of an individual with diabetes mellitus undergoing an amputation was 22.3 times that of an individual without diabetes mellitus and it has been suggested that up to 85 percent of such amputations are preceded by a non-healing diabetic foot ulcer. It is said that a limb is lost to diabetes every 30 seconds somewhere in the world. There is significant mortality associated with foot ulcers, with up to 50 percent of patients not surviving 5 years' post amputation. A comprehensive assessment will ensure an accurate diagnosis and this will guide the treatment plan. There are over 700 dressings on the market but they are aimed at different stages in the healing process and to manage different wound characteristics, for example to clean the wound or to manage exudate. The Cochrane Collaboration www.cochrane.org continuously reviews the evidence for wound care dressings and other interventions to promote wound healing and have shown that there is no single dressing that is better than all others. The European Wound Management Association provides a resource for the public to address some questions related to wound management and the Alliance for Research and Innovation in Wounds is currently working with patients in seeking to design research to answer questions of importance to them. 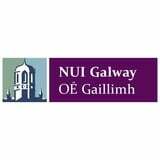 Dr Georgina Gethin is a Senior Lecturer and Head of the School of Nursing and Midwifery at NUI Galway.